(2) Verantwortlicher im Sinne der EU-Datenschutzgrundverordnung (DSGVO) ist diejenige natürliche oder juristische Person, die allein oder gemeinsam mit anderen über die Zwecke und Mittel der Verarbeitung von personenbezogenen Daten entscheidet. Für personenbezogene Daten, die der Anbieter dieses Etsy-Shops verarbeitet, ist Verantwortlicher im Sinne der DSGVO: Michaela Peeck, Hermann Löns Weg 28, 25462 Rellingen, Telefon 01733126826, E-Mail michaelaschroeder@vodafone.de (im Folgenden „wir“). Im Übrigen gilt ergänzend die Datenschutzrichtlinie von Etsy (Etsy Ireland UC, 66/67 Great Strand Street, Dublin 1, Irland), abrufbar unter www.etsy.com/de/legal/privacy. (1) Hereinafter we inform you about the nature, scope and purpose of the processing of your personal data in connection with our Etsy offers. Personal data is any information that relates to an identified or identifiable natural person. (3) When you conclude a contract with us on Etsy, Etsy will transmit to us your Etsy username (unless you buy as “guest”), your name and the billing address as stored in your Etsy user account or otherwise provided when placing your order. If you have specified additional information with the order (e.g. a different shipping address or a phone number), they also will be transmitted to us. (4) We process the data referred to in paragraph 3 electronically for the proper performance of the contract, in particular for shipping, invoicing, accounting, and processing of returns and complaints. This data processing is based on Article 6 par. 1 b GDPR. We store this data until all mutual claims arising from the respective contractual relationship with you have been completely settled and the commercial and fiscal retention periods to which we are subject have expired. 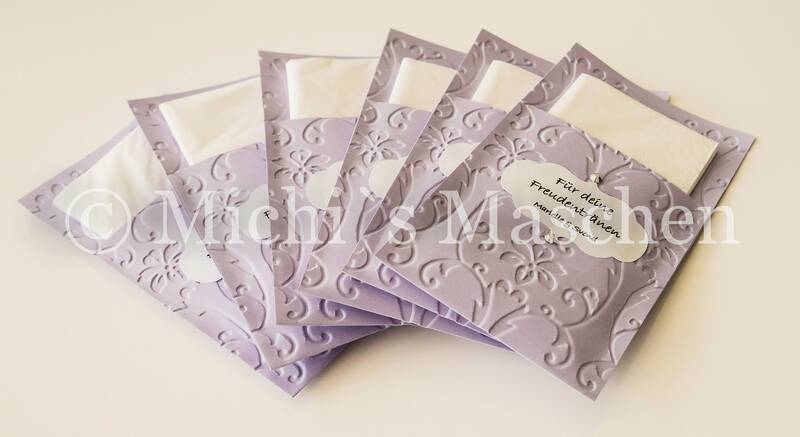 (5) To conclude a contract between you and us, it is necessary that we receive your name and a shipping address. The necessity of providing this data arises, among other things, from Etsy’s Terms and Conditions as well as from various statutory regulations (such as § 312i par. 1 and 3 BGB, § 14 par. 4 UStG). Without providing this data, you cannot conclude a contract with us. (6) When we ship physical goods in order to perform a contract, we may transmit your name and shipping address to Deutsche Post (Deutsche Post AG, 53113 Bonn) or DHL (DHL Paket GmbH, 53113 Bonn) as the shipping service provider, for the purpose of delivering the shipment to you and, if necessary, for returns back to us, on the basis of Article 6 par. 1 b GDPR. (8) If you send us a message on Etsy via “Ask a question“, “Request a custom order” or a similar function on the Etsy platform, Etsy will transmit us your Etsy username, or, if you do not have an Etsy user name, other data identifying you as the sender, along with your message (legal basis: Article 6 par. 1 a GDPR). If you send us a message by e-mail, we will save your message along with the sender details (your name and e-mail address) in order to be able to answer it and also to respond to possible subsequent questions (legal basis: Article 6 (1) f GDPR). For the reception, storage and sending of e-mails, we use an e-mail provider who acts for us as a processor in accordance with Article 28 GDPR. We will erase the information collected from your message no later than six months after the last communication with you, subject to the following paragraph. (9) If you send us a message with information legally relevant for the contractual relationship (e.g. a withdrawal or a complaint), the legal basis for the processing is Article 6 par. 1 b GDPR, regardless of how you transmitted your message to us. In such a case, we will erase the data related to your message as soon as all mutual claims arising from the contractual relationship have been completely settled and the commercial and fiscal retention periods have expired. (10) You may find Social Media Buttons on the Etsy website; they can be recognized by the logos of the social media platforms (hereinafter “platforms”) (Facebook: blue “f”, Pinterest: red “p”, Twitter: blue bird silhouette). These are links to the respective platforms based in the United States (USA). Clicking on such a link calls the respective Platform’s website; at the same time, the IP address of your device and the address of the page where the link is placed (“Referrer”) will be transmitted to the Platform in the USA. However, we neither collect nor otherwise process any data related to the use of these social media buttons. (11) We do not use any automated decision-making or profiling. (13) RIGHT TO OBJECT: ON GROUNDS RELATING TO YOUR PARTICULAR SITUATION, YOU MAY, AT ANY TIME, OBJECT TO PROCESSING OF YOUR PERSONAL DATA; this right applies to a processing, according to Article 6 par. 1 f DPRG, necessary for the purposes of the legitimate interests pursued by us or by a third party, except where such interests are overridden by your interests or fundamental rights and freedoms of the data subject which require protection of personal data, in particular where the data subject is a child. (14) IN CASE WE PROCESS PERSONAL DATA FOR DIRECT MARKETING PURPOSES (E.G. NEWSLETTER), YOU MAY, AT ANY TIME, OBJECT TO PROCESSING OF YOUR PERSONAL DATA FOR THE PURPOSE OF SUCH ADVERTISING, WITH THE RESULT THAT WE WILL NO LONGER PROCESS YOUR DATA FOR THESE PURPOSES. (15) If you believe that the processing of your personal data is in breach of the GDPR, you may lodge a complaint with a supervisory authority, in particular in the Member State of your habitual residence, place of work or place of the alleged infringement. This does not exclude other administrative or judicial remedies. (1) Anbieter und Vertragspartner für die im Etsy-Shop „Michi´s Maschen“ dargestellten Waren ist Michaela Peeck, Hermann Löns Weg 28, 25462 Rellingen, Telefon 01733126826, E-Mail michaelaschroeder@vodafone.de (im Folgenden kurz „Anbieter“). 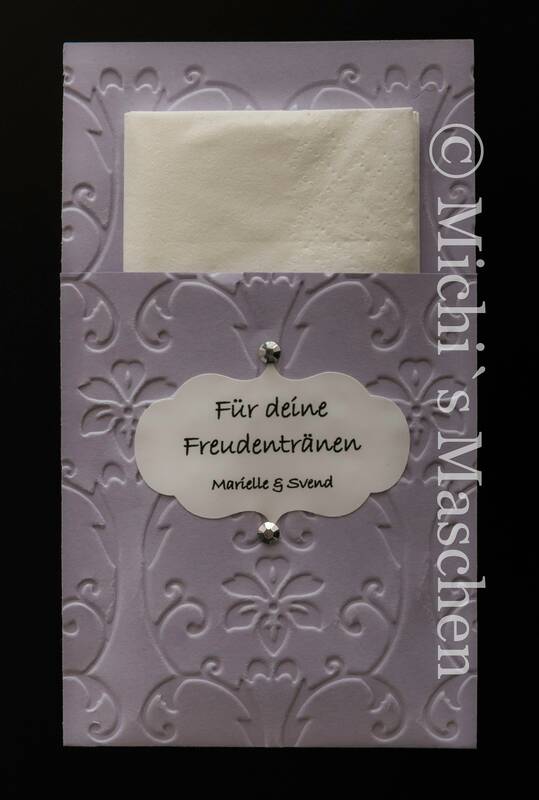 (1) Der Anbieter bietet die in seinem Etsy-Shop „Michi´s Maschen“ dargestellten Artikel zum Kauf an. Die farbliche Darstellung der Artikel auf der Internetseite kann je nach verwendetem Internetbrowser und Monitoreinstellungen des Bestellers geringfügig variieren; diese Abweichungen sind technisch nie ganz vermeidbar. Um Ihr Widerrufsrecht auszuüben, müssen Sie uns (Michaela Peeck, Hermann Löns Weg 28, 25462 Rellingen, Telefon 01733126826, E-Mail michaelaschroeder@vodafone.de) mittels einer eindeutigen Erklärung (z.B. ein mit der Post versandter Brief, Telefax oder E-Mail) über Ihren Entschluss, diesen Vertrag zu widerrufen, informieren. Sie können dafür das beigefügte Muster-Widerrufsformular verwenden, das jedoch nicht vorgeschrieben ist. (1) The Vendor and contracting party for the merchandise presented in the Etsy Shop „Michi´s Maschen“ is Michaela Peeck, Hermann Löns Weg 28, 25462 Rellingen, phone 01733126826, e-mail michaelaschroeder@vodafone.de (referred to hereinbelow as the “Vendor” for short). 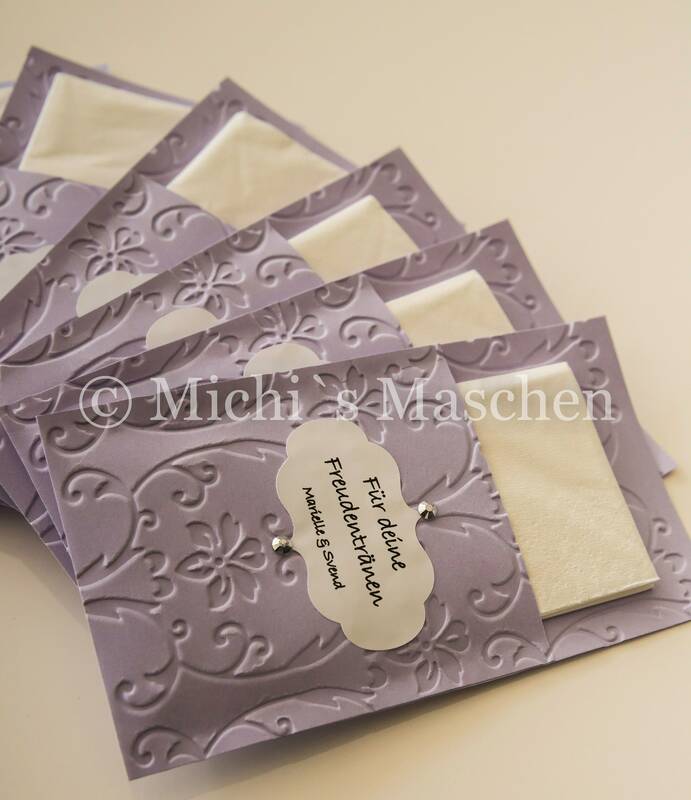 (1) The Vendor is offering the merchandise presented in the Etsy Shop “Michi´s Maschen” for sale to other Etsy users. The colors of the merchandise shown on the website may vary slightly depending on the internet browser and monitor settings used by the Customer; these variations are technically unavoidable. (2) The provider is willing to participate in an out-of-court consumer dispute resolution process. To exercise the right of withdrawal, you must inform us (Michaela Peeck, Hermann Löns Weg 28, 25462 Rellingen, phone 01733126826, e-mail michaelaschroeder@vodafone.de) of your decision to withdraw from this contract by an unequivocal statement (e.g. a letter sent by post, fax or e-mail). You may use the attached model withdrawal form, but it is not obligatory. You have the right to withdraw from this contract within 14 days without giving any reason. The withdrawal period will expire after 14 days from the day on which you acquire, or a third party other than the carrier and indicated by you acquires, physical possession of the goods. Your right of withdrawal expires, if the performance of the contract has begun with the your prior express consent and your acknowledgment that you thereby lose your right of withdrawal. The right of withdrawal shall not exist for contracts regarding the delivery of merchandise that is not prefabricated and is made according to the consumer's individual choice and specifications, or of merchandise that obviously is tailored to meet personal customer requirements.